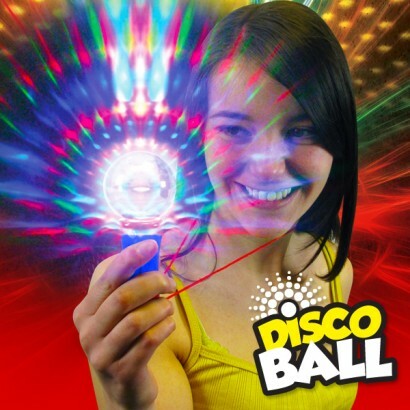 The amazing Disco Ball contains red, blue and green LEDs to literally light up the walls around you creating your very own mobile disco! The multi faceted disco ball projects the light from the LEDs out onto surrounding surfaces in three cool modes illuminating the space around you with incredible colour change effects. 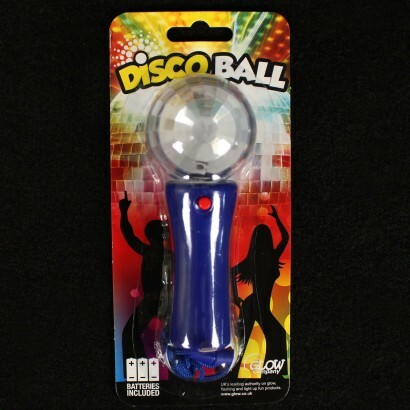 Perfect for parties or events and just the thing for sensory play, the flashing disco ball comes on a break away safety lanyard with batteries included.